From the rolling hills of Tuscany, to legendary Murano Island to the eternal city of Rome––the Passport Italia Collection is a striking synthesis of three of Italy’s finest treasures–– classic Byzantine metalwork, legendary Murano glass and vintage-inspired Italian coins. 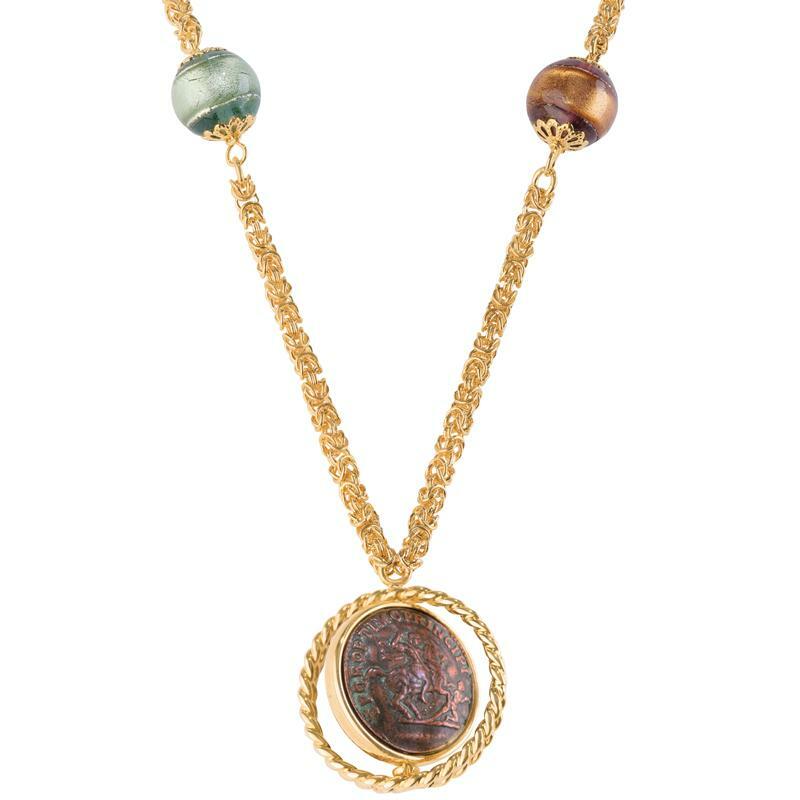 The necklace features two handmade Murano glass beads and a Traiano Emperor Coin showing Trajan (considered one of Rome’s three greatest Caesars) in profile on one side and horseback in battle on the reverse. 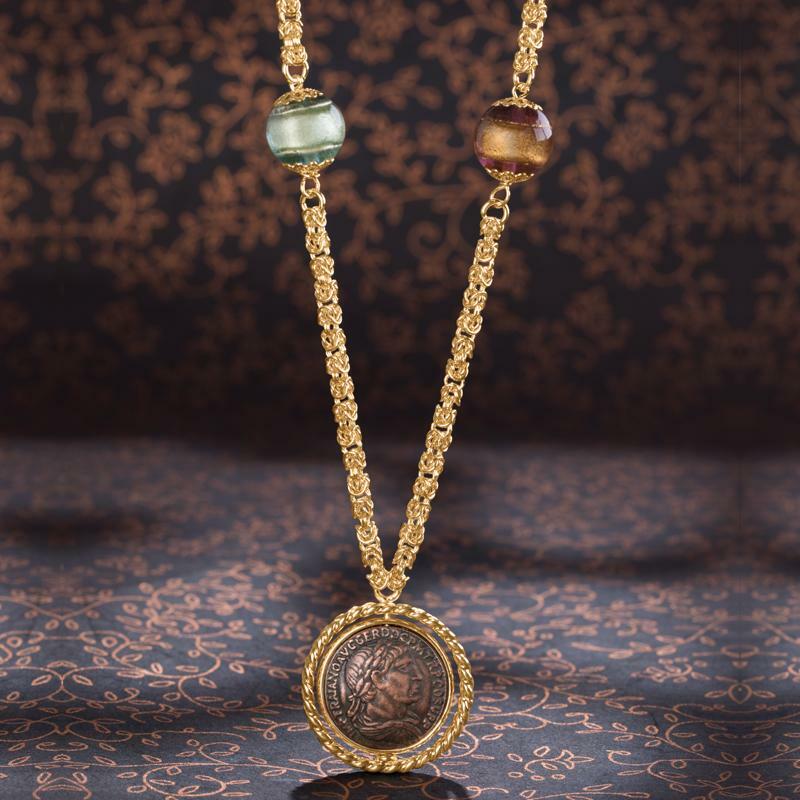 The coins exhibit a gorgeous patina finish and the coin setting on the necklace has been cleverly designed to spin in the bezel so you can easily flip your coin from head to tails as you wish.